Jon Favreau did it again. 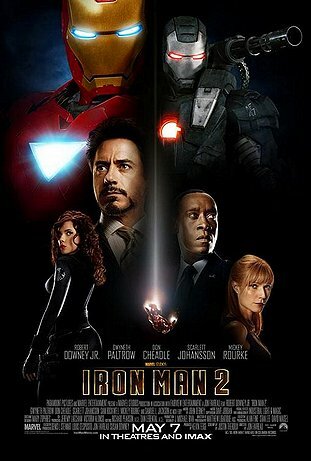 Iron Man 2 is action-packed, funny and definitely met all my expectations. The movie seemed lengthy at times trying to show Tony Stark being vulnerable and trying to deal with his personal issues. Robert Downey Jr did a awesome job (as usual), the perfect cast for Tony Stark. He has an arrogant air about him that make him so attractive, not the mention the humor. However, I am a bit disappointed on Rhodey character. I felt that Terrence Howard has a better chemistry with Robert Downey Jr. Mickey Rourke’s performance as Whiplash was convincing thought I have some difficult understanding the Russian accent. Of course, my guy-friends are drooling all over Scarlett Johannson doing kick-a** moves in that body-tight costume. Alright, I’ll admit it, I am gaga over Scarlett as well. Supposedly this movie is a set up for Thor (opening summer 2011) and I hope they will put out another installation of Iron Man.